After 3 weeks of recordings, 6 months of editing, mapping and scripting, we´re proud to announce our upcoming library “Berlin Woodwinds”, which will be released soon! Berlin Woodwinds is the biggest sample-collection in the Orchestral Tools family. We put much love and ideas into the recordings. Produced in a city which is famous for its history, tradition and the best orchestras in the world. 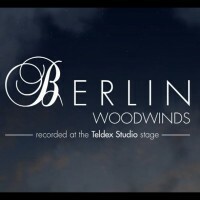 Berlin Woodwinds is set to be released on August 8th and is currently offering a lower pre-order price. With the release of CineWinds last month, and HollyWood Winds this month, composer’s have never had so many woodwind sample libraries to choose from. How does Berlin Woodwinds compare to the CineWinds and Hollywood Winds? We’ll find out over the next couple of weeks when the first reviews hit the web. Which library do you think will take the Woodwind crown? I am very interested to purchase the Berlin Woodwinds!